After a short introduction to the attributes of the seven chakras, Becca Chopra takes you on a journey from the root chakra up to the crown chakra in this 10-minute audio meditation, taken from The Chakra Diaries. Listening to the guided meditation will result in greater balance of your chakra energies and well being of body, mind, emotions and spirit. 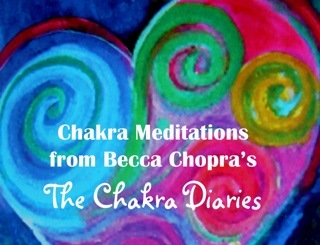 Listen to the audio and sign up for a FREE MP3 DOWNLOAD OF CHAKRA MEDITATIONS at http://www.thechakras.org/meditations.html.